There are plenty of articles and perspectives to read on Facebook Places ranging from privacy concerns to speculating what it means for marketers and business. The question you have to ask yourself is do these authors, journalists and analysts actually use the technology? I've been playing around with Places a bit and here are a few first impressions followed by a takeaway from someone who regularly uses Foursquare. 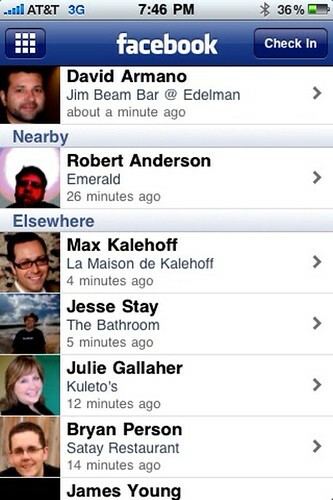 Much like Foursquare, venues are added by users (they can be claimed by owners). The process is fairly intuitive and fast though it can take some time for the map (Google) to accurately geolocate. 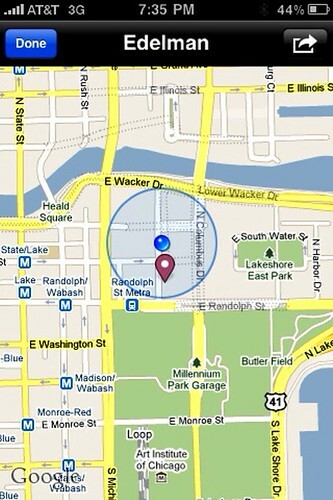 Overall though, adding locations is a snap. Checking in is also similar to most gelocation services in that it pulls up the nearest venues which exist. 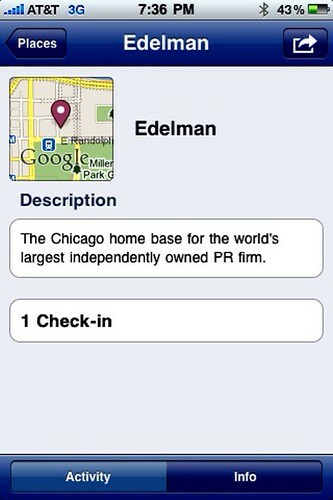 Places also keeps track of the number of check-ins. Also mimicking similar platforms, Places lets you flag venues in a variety of ways. Since it's very early on, these community features are yet to be tested and rely on the vigilance of Facebook users. Places lets you combine status update with location update on par with other platforms but on the Web interface it also displays a nice rollover with a small map. One of the biggest differences at this point is that you have to manually tag friends as opposed to it self populating (Foursquare does this in combination with Twitter). 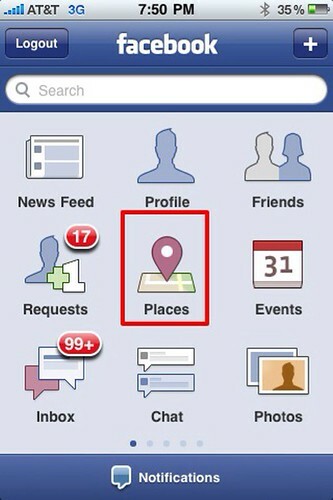 From a user perspective, Facebook places is not bad, which is a bit of an accomplishment for a new launch. From a platform perspective this is not great news for the competition. However, there are some serious issues and the biggest is lack of integration with other platforms such as Twitter. 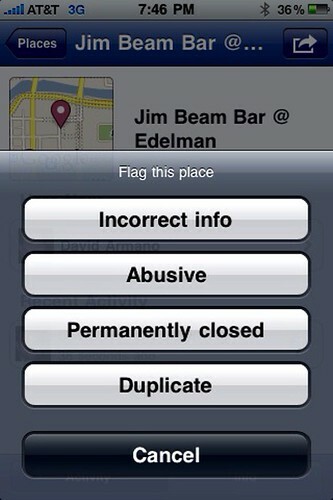 There is also no reward system (badges) which some Foursquare users like and others care less about. The experience though shows promise and for Facebook it's yet another source of behavioral data which will prove to be valuable to advertisers and brands. In short, as a user it's off to a decent start. If your Facebook connections use it, it's likely you might as well. If users adopt the behavior as Facebook rushes to support other mobile platforms and global locations it could gradually make the act of checking-in as common as the status update. If this happens, organizations with physical locations will have to take a very close look at this and what it means for their business.